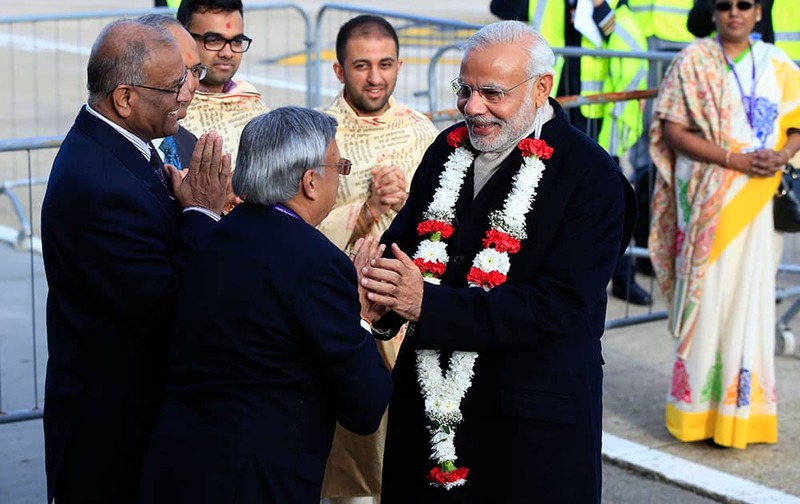 Indian Prime Minister Narendra Modi is presented with a garland of blossoms in celebration of Hindu new year as he arrives at Heathrow Airport, London, for an official three day visit. 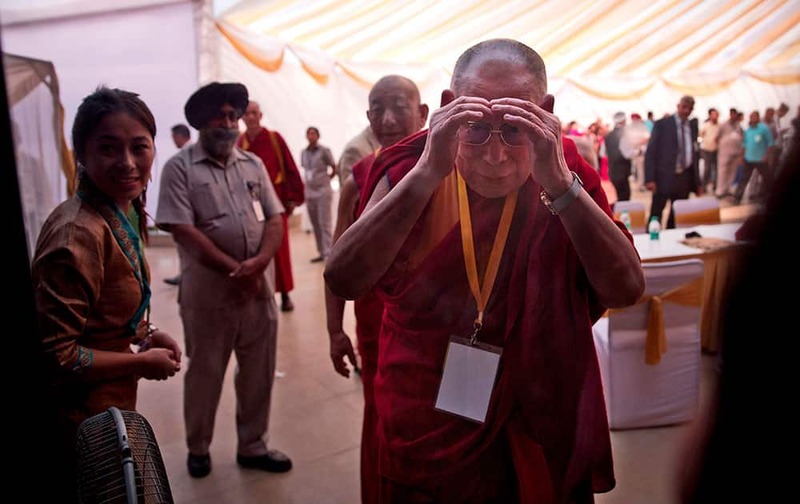 Tibetan spiritual leader the Dalai Lama looks through a window during during a conference on Quantum Physics and Madhyamika Philosophical View in New Delhi, India. 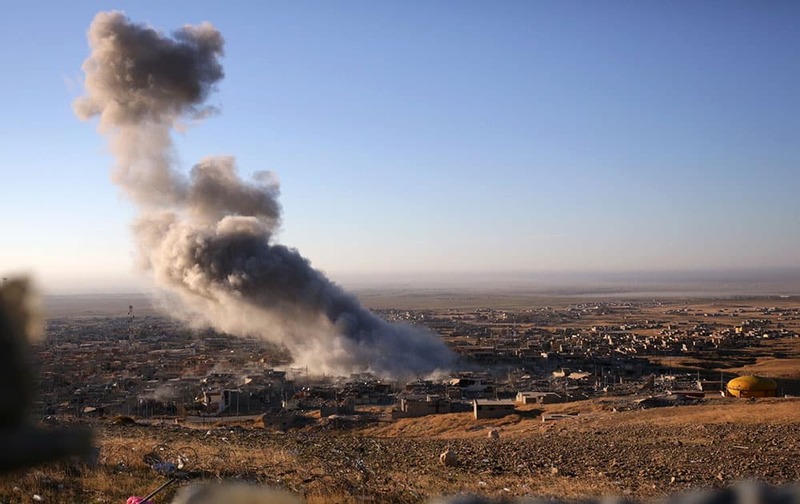 Smoke believed to be from an airstrike billows over the northern Iraqi town of Sinjar. 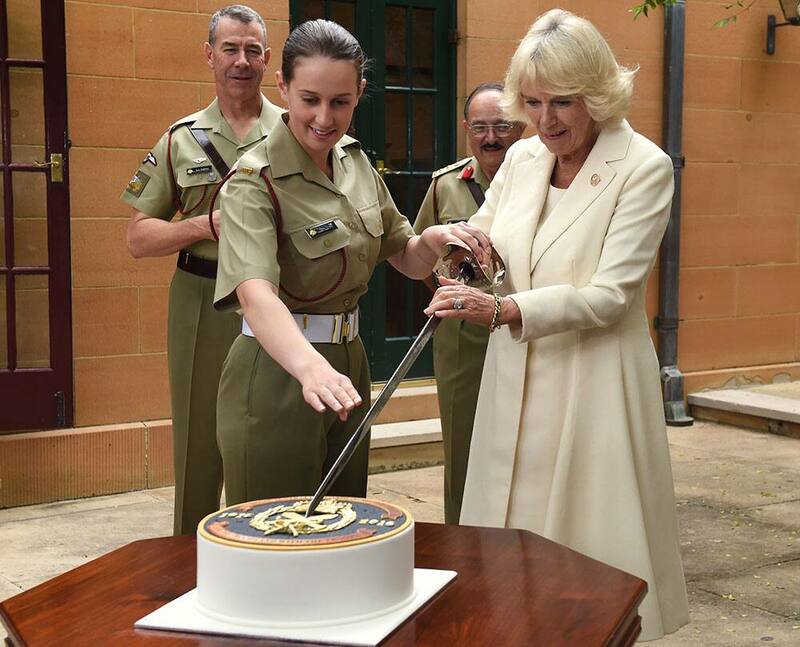 Britain's Camilla, Duchess of Cornwall, right, holds a sword as she prepares to cut a cake with Pvt. Alana Smilie, left, while visiting with the Royal Australian Corps of Military Police at the Victoria Barracks in Sydney. 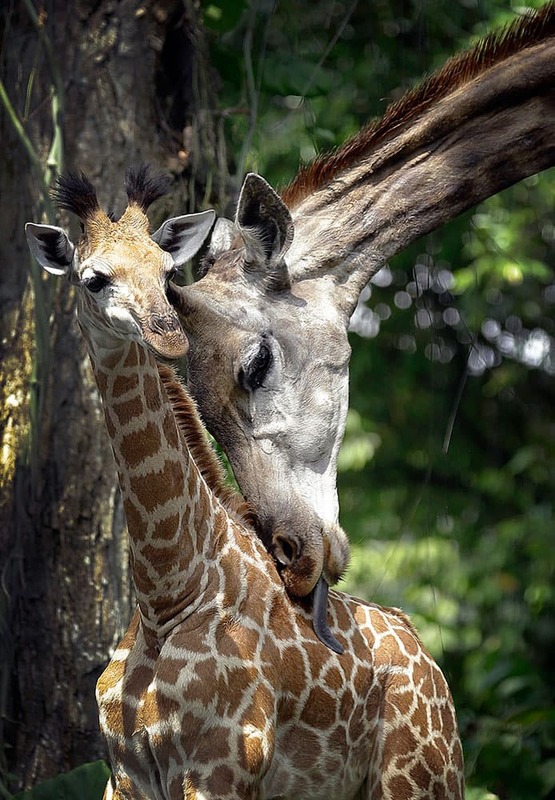 A giraffe calf born on Aug. 31, 2015, stands with his mother in its enclosure at the Singapore Zoo. Actress Julia Roberts attends the LA Premiere of "Secret In Their Eyes" held at the Hammer Museum in Los Angeles. 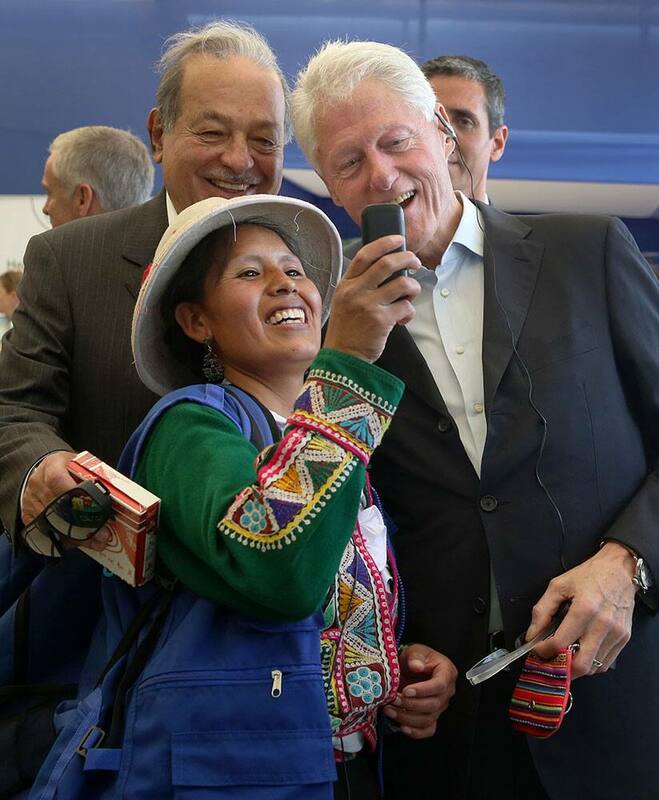 An Andean woman takes a photo of herself with former President Bill Clinton, right, and Mexico's billionaire Carlos Slim, during their visit to the San Juan de Lurigancho district of Lima, Peru. 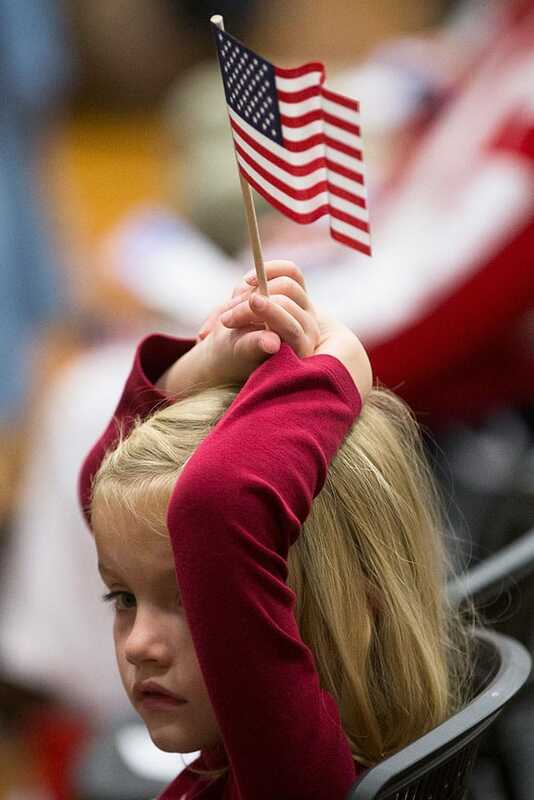 A child holds an American flag over her head during a Veterans Day ceremony in the Countryside YMCA's gymnasium in Lebanon, Ohio. 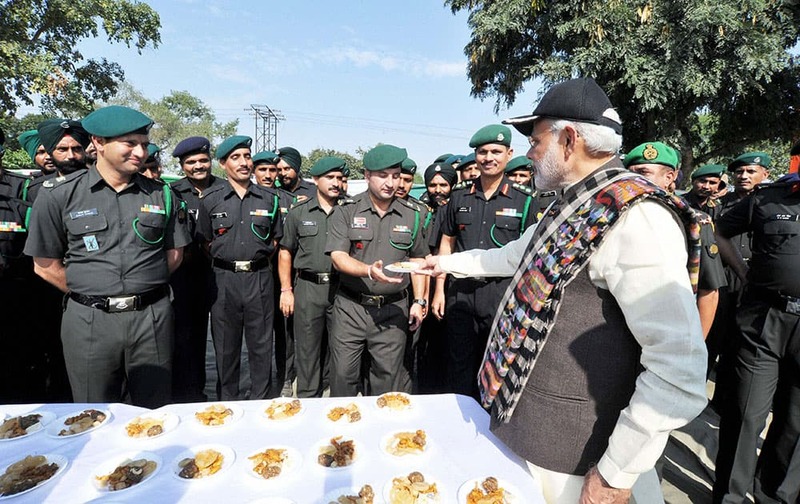 Prime Minister Narendra Modi with the jawans at the Barki memorial, Ferozepur. 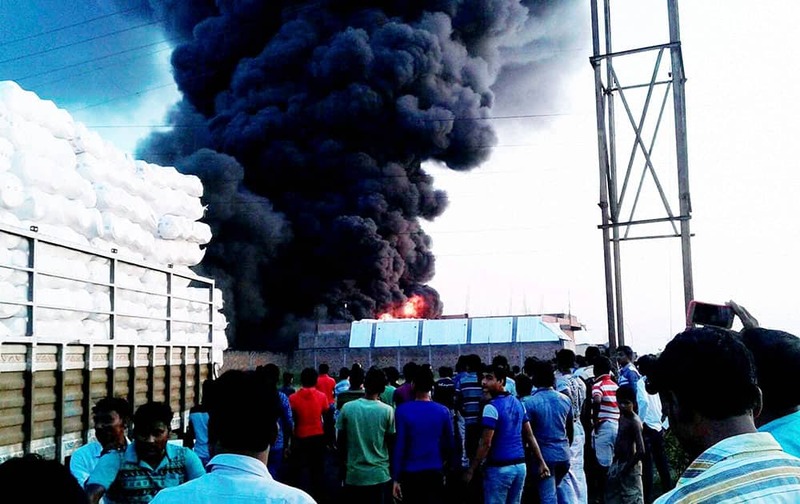 Black smoke seen after fire caught at a thermocol factory in Domjur in Howrah district of West Bengal. 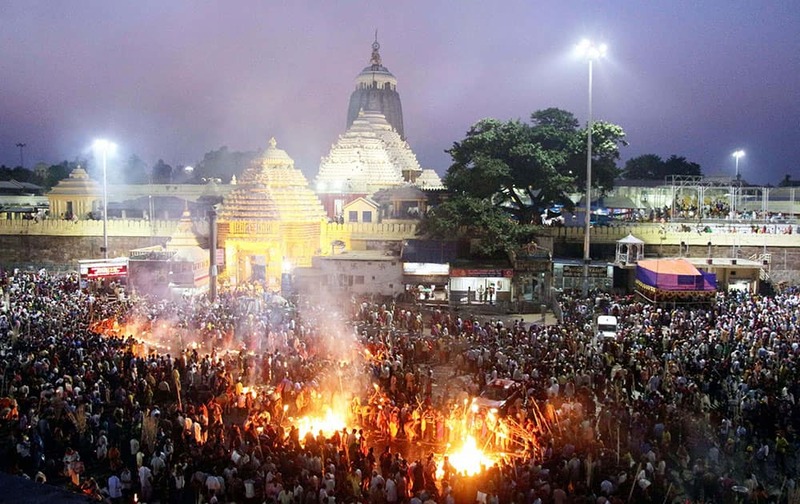 People burning jute sticks outside the Shri Jagannath temple in Puri to pay obeisances to their forefathers on the occasion of Diwali. 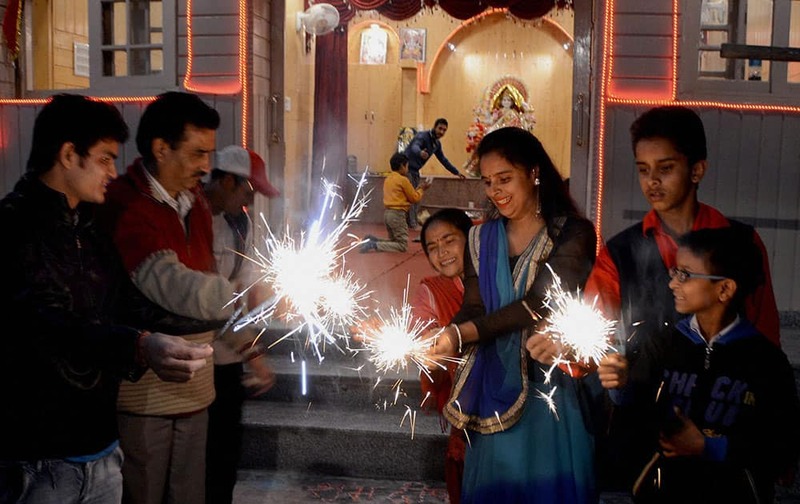 Kashmiri pandits celebrating Diwali Festival by burning crackers,at Lal Chowk in Srinagar. 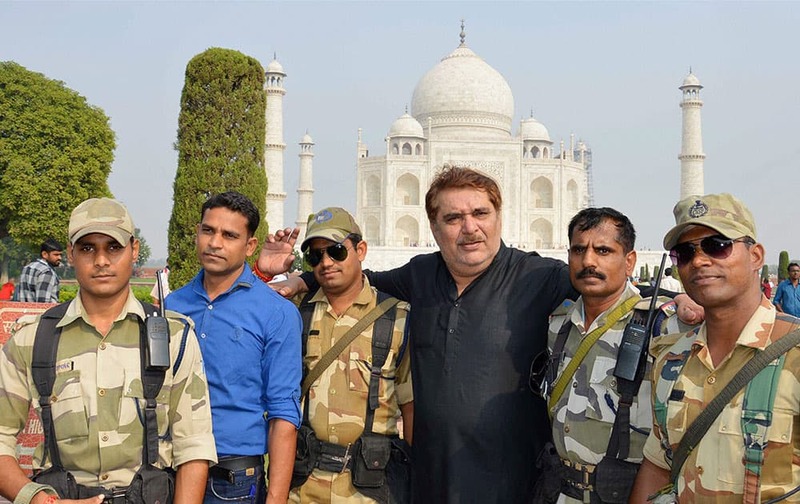 Actor Raza Murad posing with CISF personnel at Taj Mahal in Agra. 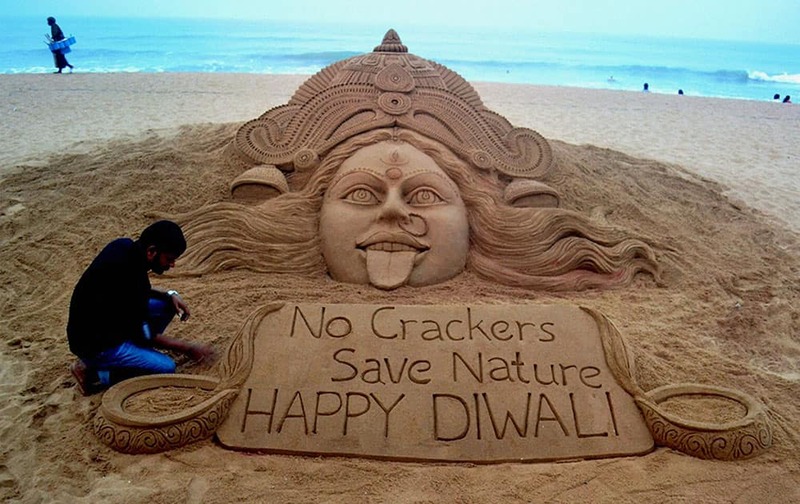 Sand artist Sudarsan Pattnaik creates a sand sculpture of Goddess Kali with message No crackers, Save Nature. 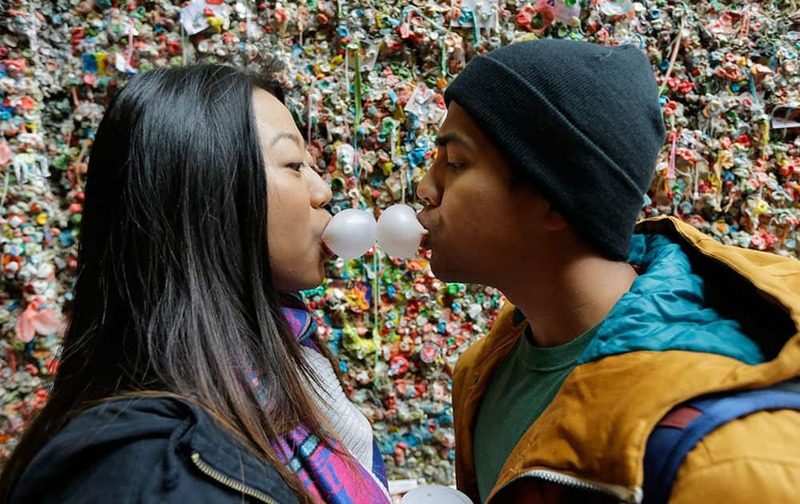 Jessica Wang, left, and Michael Teylan, both of Los Angeles, create a "bubble gum kiss" while visiting Seattle's famous gum wall at Pike Place Market. Elsa Hosk, from left, Candice Swanepoel, Behati Prinsloo, Lily Aldridge and Alessandra Ambrosio walk the runway during the Victoria's Secret Fashion Show at the Lexington Armory in New York. 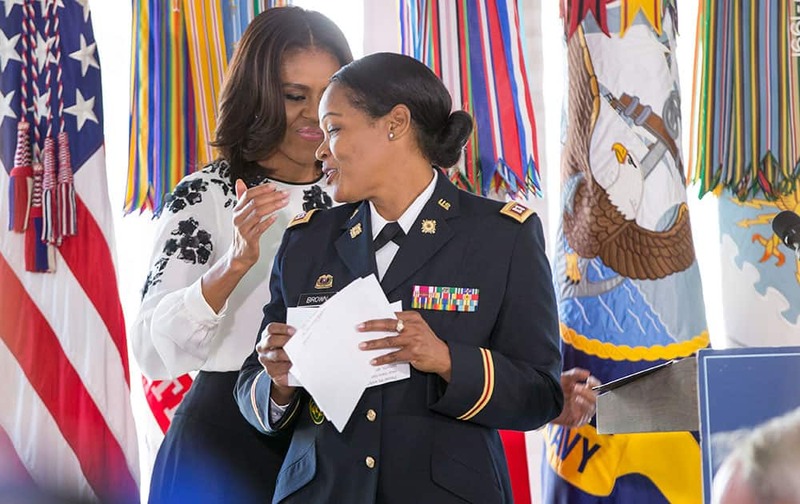 First lady Michelle Obama applauds Capt. Capt. Rolana Brown of High Point, N.C., during a luncheon for military women, active-duty service members and veterans, spouses and caregivers, at the Vice President's official residence at the Naval Observatory in Washington.